Glenariff, known justifiably as the Queen of the Glens, the arable or fertile glen, is a dramatic U shaped valley, the bed of a long forgotten glacier. There are many beautiful waterfalls – this is just one – a small one. 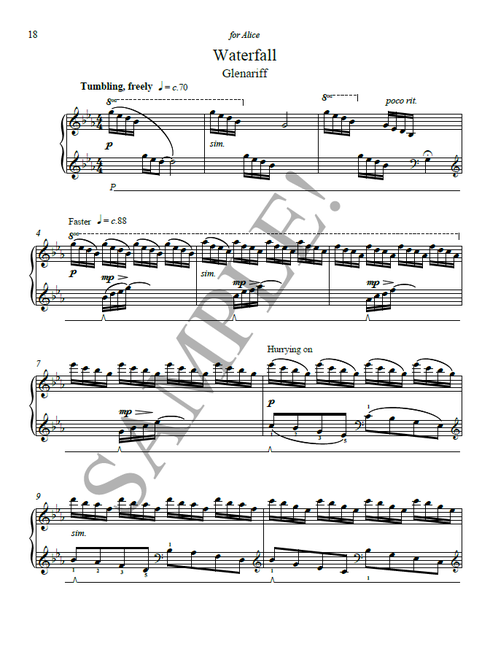 The hands-crossing figures down the piano keyboard, represent the tumbling of the water over the rocks. The pedal creates the cascade of sound.